Has anyone ever heard of this? Has it been done before? 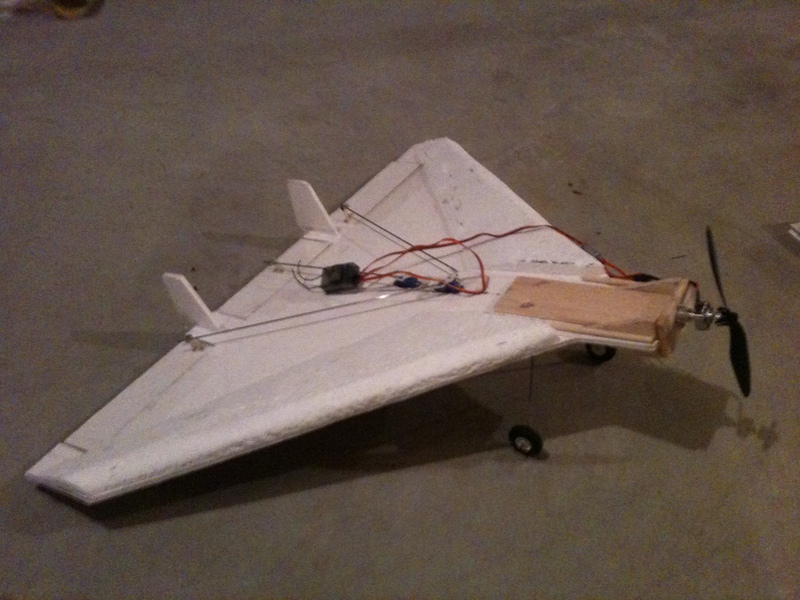 I just built it and I'm going to maiden soon. I'll keep you guys updated. It's an easy way to avoid elevon mixing if you can't do it or have problems doing it. Just looks like it can't be done on any wing because of the front-mounted prop. Looks like it'll fly. Just get the CG right. The Hercules flying wing from CrashtestHobby.com used an elevator in the middle and had two elevons. You will most likely find that it will fly the best if you have a little reflex set up on all three surfaces. Very interesting tri elevon setup! Have you got any plans for vertical stabs? Yeah- you are probably want to either put a vertical stabilizer on that guy or put some winglets on the wingtips. Not to worry, I already have Picture up soon! I have put on some rudders for added stability. Glued down some balsa for structural support. And put on some landing gear (just to be safe. I don't like spending money on a lot of props). 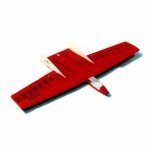 The Obelix is a 20+ year old slope glider design. Back then elevon mixing was either mechanical or super expensive! I actually built one of these but never flew it. The success of the design comes from putting the elevator and vertical stabs back away from the CoG so that they have a decent moment (i.e. lever effect). The incidence of the body wing to the outer wings is also key to the stability (which is achieved on conventional flying wings with reflex). Improved thermalling (though they do well without the mod!). I built a wing using this method but split the center elevator so my prop could fit there. 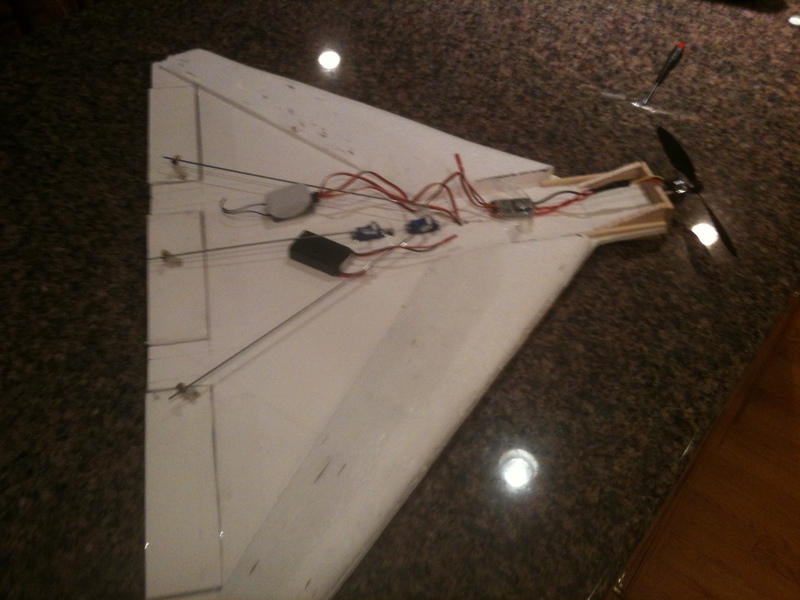 Basically I ended up with 4 control surfaces and still used only two servos. The outer surfaces were Ailerons while the inner were elevator. It flew OK but not as well as a true wing. didn't get pictures of it... a tree got to it before my camera did.